AI can be a powerful game-changer, delivering insights from massive amounts of data for sales intelligence. Marketing and sales automation solutions are driving the industry into a new destination. Sales intelligence, inarguably, is the most sought-after solution in the salestech ecosystem that sales leaders are keenly looking at. 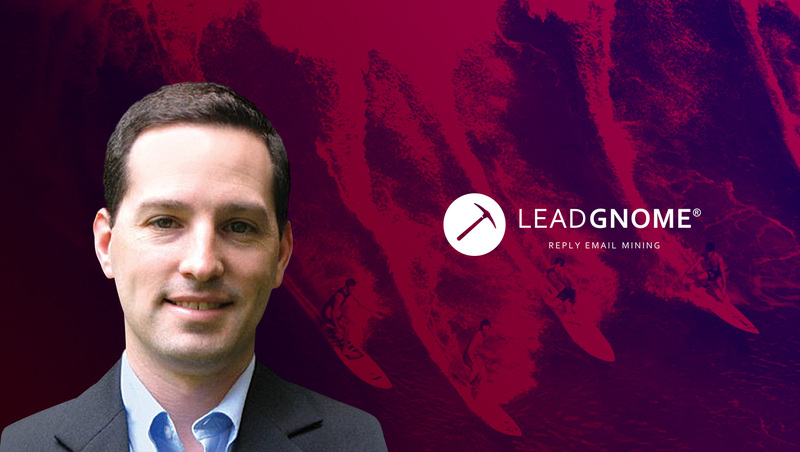 In this interview with Matt Benati, CEO and Co-Founder at LeadGnome, we find some interesting nuances of the salestech and intelligence solutions. What’s the most exciting part about leading a sales tech company into 2020? After CRM systems hit the market, we’ve mainly focused on marketing automation solutions. But now, sales tools are back in the limelight – and with good reason, they are increasing productivity and driving revenue. Sales intelligence, sales enablement, and sales development solutions are leading the charge. Many of these new platforms also leverage artificial intelligence (AI) to deliver impressive results. LeadGnome is part of this mix, so I’m excited to bring cutting-edge sales technology to market that’s making a big impact. Tell us about the core tenets of your AI-based reply email mining technology? LeadGnome’s AI engine is uniquely designed to understand the body of email replies, something that’s not been done before. It then categorizes each reply – for example, out of office or left the company or unsubscribe. Within the context of the category, LeadGnome delivers intelligence about accounts and contacts. If the auto-response is a left the company email, then the alternate contacts within this reply are people taking on responsibilities caused by the vacancy. If, however, the auto-response is an out of office reply, then LeadGnome delivers enhancements to the existing lead (e.g., mobile phone, title) and the alternate contacts are decision makers and influencers within the account. All of this intelligence is synchronized with marketing automation and CRM solutions – eliminating manual review, extraction, and data entry from sales and marketing professionals. AI can be a powerful game-changer, delivering insights from massive amounts of data. What was previously an impossible task can now provide a competitive advantage. To prepare for an AI-centric world, we need to embrace it and determine how to best use this technology. Look for places where large amounts of data need to be analyzed or automation could free up human resources to focus on higher-value tasks. These areas are prime candidates for using AI. It also makes sense to have data scientists available to interpret the data served up by the AI solutions in your environment. Based on the data and task at hand, some solutions provide simple-to-understand results, while others can only offer direction. Having skilled resources to work with the results may be necessary. Finally, we need to assess the need for additional compute power. However, the need to own hardware is becoming less and less necessary as AI solutions are most often SaaS. What does Email Marketing mean to a sales team in 2018? Email is the workhorse of modern sales and marketing teams – whether for inbound, outbound or account-based go-to-market strategies. It’s important to note that email converts 300% better than social media. Unlike social media outreach, email does not disappear in real-time feeds. And unlike phone calls, email does not interrupt the customer, but rather allows the customer to engage when they want. 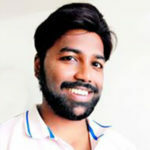 Email uniquely and powerfully delivers personalized messages and valuable information to customers. In fact over the last few years, Sales Engagement Platforms like Outreach, SalesLoft, and Yesware have flooded the market to provide salespeople with email automation traditionally reserved for marketing teams. The bottom line is that email delivers outstanding results and is an essential sales engagement channel. With LinkedIn and Twitter growing into formidable B2B communication models, do you see sales teams surviving without email tools? Sales teams cannot live without email and email tools. The proliferation of Sales Engagement Platforms is solid proof of this need. The reality is that a good mix of communication channels is necessary to develop and maintain relationships. And while for many years pundits have declared that email is dead, use of email is on the rise. According to The Radicati Group, in 2018, the total number of business and consumer emails sent and received per day will exceed 281 billion and is forecast to grow to over 333 billion by yearend 2022. But how effective are all of these emails? How does LeadGnome help sales teams achieve “Digital Mastery” using CRM and sales automation tools? Every B2B email campaign generates replies, and these replies contain fresh, account-specific information that can improve your CRM database. However, extracting this data is time-consuming and a poor use of a salesperson’s time. LeadGnome automation eliminates this laborious process and provides Digital Mastery over this excellent source of account and contact information. Let’s look at one type of auto-reply, Out Of Office. The majority of out-of-office auto-responses tell us when the person will return to the office. If used properly in your CRM, you can dramatically improve your connect rate. Out of office replies often contain titles, direct dials, and mobile phone numbers – a huge win for sales teams. LeadGnome customers are also adding approximately 20% new contacts annually. Note that these new leads are account-specific, most often influencers and decision makers within the opportunities being worked. Other reply types generate sales trigger events or eliminate bad contacts. For more information on all of the email reply types, I recommend reading this short eBook. How does AI fit into your sales tech platform? What are your major differentiators for LeadGnome in the tech-heavy ecosystem? (2) extracts valuable sales intelligence about accounts and contacts. Sales automation platforms do not manage email replies – LeadGnome does. In essence, LeadGnome closes the loop on email by capturing valuable revenue-driving data from replies and entering it into the systems that sales teams use every day – their CRMs. For example, LeadGnome alerts salespeople when contacts change jobs, well before their competition, and this delivers a significant timing advantage (Gartner reports that the first salesperson into an opportunity will win the deal 74% of the time). Also, after the data is extracted and synchronized, LeadGnome sorts all auto-responses, moving them from the salesperson’s inbox into another folder(s). This eliminates the noise in their inbox, so the salesperson can focus on what really matters: the personal replies from prospects. How badly do sales teams suffer from “Good data versus Bad Data” hygiene? Needless to say, bad data and bad database hygiene processes cause brand erosion, loss of time/effort, and the most important loss of revenue. Given the rapid rate of decay, it’s critically important to continuously maintain and enrich your customer database. Reply emails provide a continuous source of fresh data – directly from the accounts you are engaging. You simply cannot afford to overlook this data. What are the major pain points for businesses in putting a 360-degree focus on email marketing for better account conversions? Good conversations demand a good rapport, which is developed over time by providing value in a personalized manner. Standing in the way is the lack of accurate data (e.g., wrong title or name). Our customer databases decay at a rate of 70% each year, so it’s no wonder that our sales teams are struggling to engage properly. We need to provide accurate contact data continuously in order to be effective. Most of the time this means picking up little bits of information, not buying out-of-date lists or providing access to stale databases. In my conversation with Matt Heinz, host of the Sales Pipeline Radio podcast, he describes Reply Email Mining as providing small insights, “whispers”, that replace the thunderbolts you think you should be looking for. Mining email replies deliver a 360-degree focus on email marketing by closing the loop on automation. In the process, it maintains, enhances and adds to your customer database – a big win for your organization. What are your predictions for onboarding/ adoption of DaaS for improved demand generation and pipeline growth? In order to improve demand generation and grow pipeline, DaaS solutions must provide fresh data. It is simply not good enough to update data sets annually, quarterly, or even monthly. New DaaS solutions must leverage sources of up-to-date information to continuously update their databases. We’ve seen many new DaaS companies try to extract data from social media sources like LinkedIn, Twitter, Facebook. While these solutions provide some good information, we often find inaccurate data too. In the B2B world, one of the best sources of fresh data is reply email because it comes directly from customer accounts. Look to DaaS vendors to seek this and other direct sources of information. I love to participate as a speaker. I have given a presentation on Reply Email Mining and how it helps sales and marketing drive revenue for many groups, including Marketo User Groups and MarTech communities. Thank you, Matt, for deep insights into sales intelligence and your predictions about the industry!